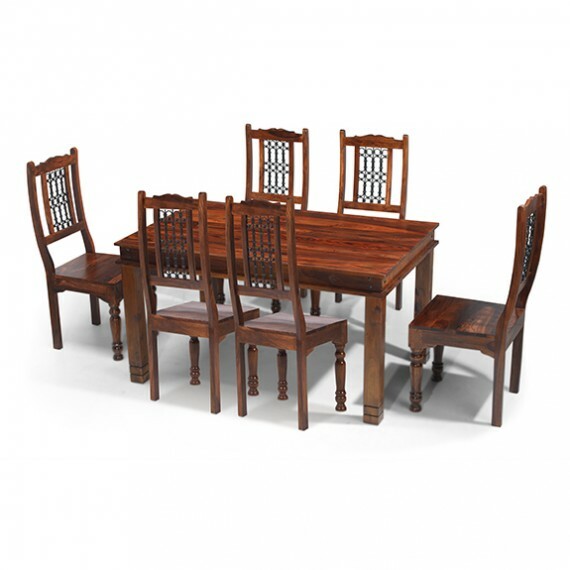 Beautifully handcrafted in India from durable, dark sheesham wood in a design that echoes colonial style yet is unmistakably modern, this impressively proportioned table is perfect for larger dining spaces. 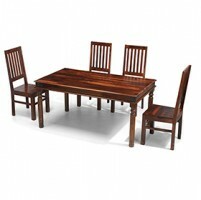 With a clean-lined design that's accessorised with iron stud work, it's been finished with a wax lacquer that accentuates the subtly varied dark tones and uniquely characterful grain patterns. 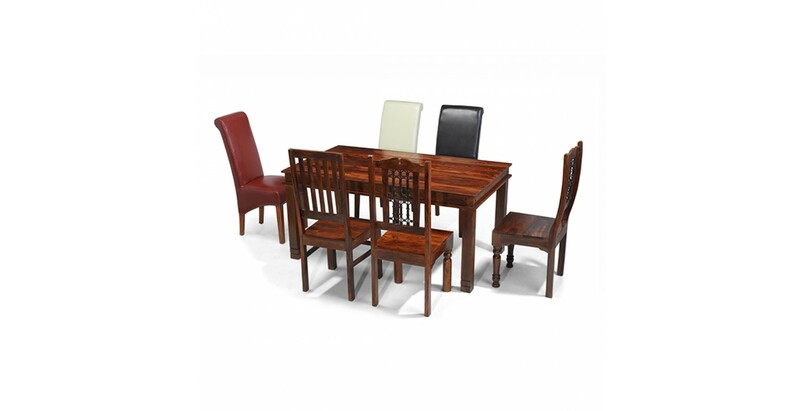 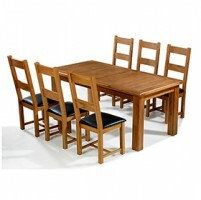 Ideally sized for everyday dining and entertaining it comes with a choice of chairs so you can pick which will look best in your home. 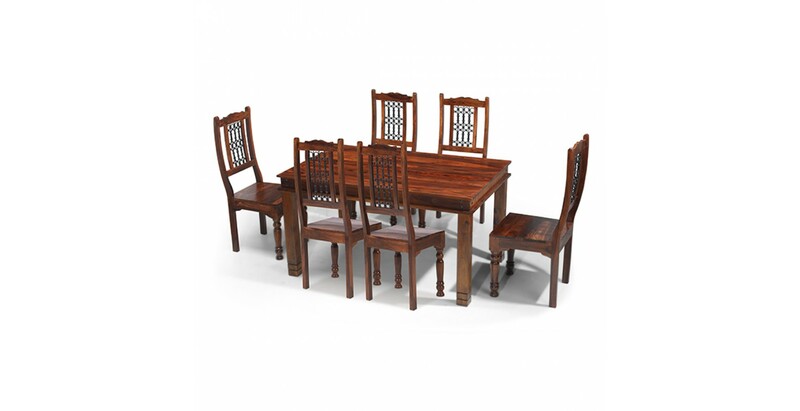 Decide between our High Back Slat chairs with their elegant, contemporary appeal, or either our fancier High Back or Low Back Ironwork chairs to create a traditional look. 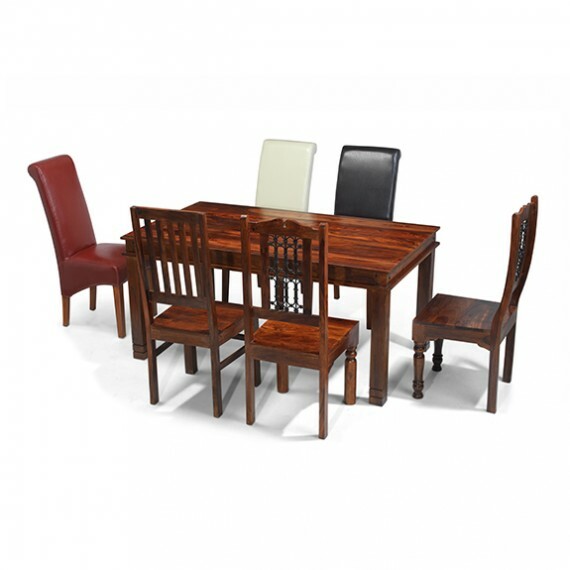 Or if you want to mix things up a bit, add a set of our bonded leather chairs in beige, brown or red.